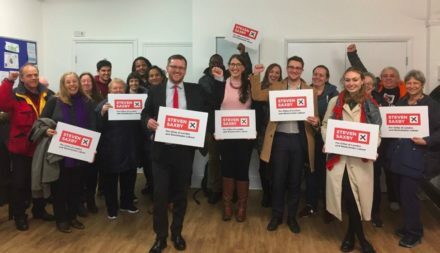 Steven Saxby, the vicar backed by Unite, has narrowly beaten transport expert Christian Wolmar after an intense battle to be Labour’s candidate in the Cities of London and Westminster. Saxby, chair of Unite’s faithworkers’ branch, won by 199-191 votes at the end of a lengthy selection battle this afternoon. Wolmar, the rail author who was Labour’s candidate in the Richmond Park by-election in 2016, had been expected to come in the top two places but in the final days of the contest the result was too close to call. The Cities of London and Westminster seat is one of 75 targets which Jeremy Corbyn has said will select candidates by April. At the last election, Tory MP Mark Field saw his majority cut from nearly 10,000 to 3,148 on the back of the “Corbyn surge”, local anger over Brexit and a strong campaign by restauranteur Ibrahim Dogus. More details on LabourList on Monday.